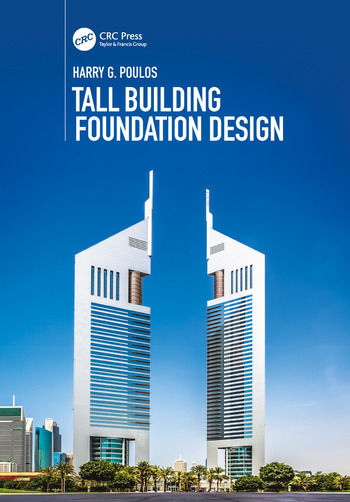 After a general review of the characteristics of tall buildings, various foundation options are discussed followed by the general principles of foundation design as applied to tall buildings. Considerable attention is paid to the methods of assessment of the geotechnical design parameters, as this is a critical component of the design process. A detailed treatment is then given to foundation design for various conditions, including ultimate stability, serviceability, ground movements, dynamic loadings and seismic loadings. Basement wall design is also addressed. The last part of the book deals with pile load testing and foundation performance measurement, and finally, the description of a number of case histories. A feature of the book is the emphasis it places on the various stages of foundation design: preliminary, detailed and final, and the presentation of a number of relevant methods of design associated with each stage. Introduction. Characteristics of Tall Buildings. Selection of Foundation Type. Foundation Design Process and Criteria. Building Loads. Assessment of Ground Conditions. Design for Ultimate Limit State Loadings. Design for Serviceability. Design for Ground Movements. Design for Dynamic Loadings. Design for Seismic Events. Design of Basement Walls and Excavations. Pile Load Testing. Performance Monitoring. Case Histories. "This is a very valuable book, since it introduces a complex and not universally known problem and authoritatively suggests the proper approaches and methods of analysis to solve it." "This is a most comprehensive book on 'Tall Building Foundation Design', and I can think of no one better placed to write it than the author, Professor Harry Poulos. Although the title suggests the book only covers foundation design, that is far from the truth. The opening chapters provide an excellent overview of tall buildings, both historically and also in terms of different structural approaches. Later chapters include detailed consideration of design for dynamic conditions and seismic events, while the final chapter presents five detailed case histories in addition to an overview of measured settlements from tall buildings. The heart of the book addresses detailed design methods for different types of foundations for tall buildings, from both ultimate and serviceability points of view, but there are also chapters on diaphragm wall design for deep excavations, on relevant techniques of site investigation, on load testing of piles and on performance monitoring. So, just as Poulos’ previous books, this book is essential reading for anyone involved in foundation design for significant structures, but there is much here that will appeal from a general interest perspective. I commend the author most highly on his energy in putting together a book of this breadth, and one which is extremely timely in view of the exponential increase in the number of buildings exceeding 300 m in height." "It is a comprehensive and enjoyable read, taking the reader through a journey of discovery of what to design for, choices to be made, best practice methods to use, monitoring and testing during construction, as well as monitoring after construction. To top off a good story line, the book is rich on case studies and references to support a practitioner to make this book part of the essential arsenal of literature when design tall building foundations." "All the design aspects are addressed (ULS, SLS, dynamic loading, earthquake loading, effects induced by ground movements), as well as control aspects like pile load testing and monitoring." "This book is as comprehensive and thorough a book as I have seen on the subject of foundations for high-rise buildings. I think Dr. Poulos has largely achieved his goal of writing a book whose founding principles will stand the test of time."